LIFE shouldn't be a hassle. 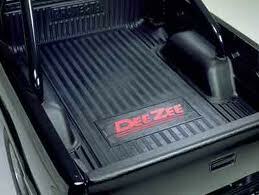 DeeZee products make your truck or SUV fit the way you use your vehicle. DeeZee steps make it easier to get in and out of your vehicle. Products such as their Tool Boxes give you extra storage that can be locked. Their boxes are constructed for the worker, the weekender and everything in between. They are made for some of the highest quality materials. DeeZee Tool Chests offer you versatile storage options wherever you need it. 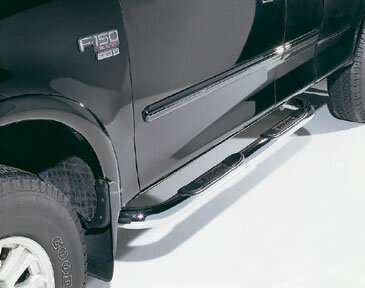 Tube Steps, Nerf Steps or Side Steps offer the most popular designs on the road today. DeeZee’ s superior line-up of sizes, styles, materials and finishing options. DeeZee Running Boards add styling and protection along with providing a great look. 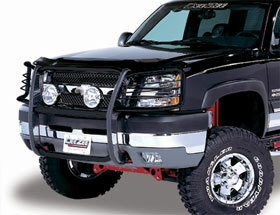 We find that more and more truck owners want some type of running board or step to get in and out of their vehicle. The DeeZee Grill Guard gives you ultimate protection from unfortunate accidents to having a deer jump out in front while driving. The Grill Guards are available in your choice of Polished Stainless Steel or Ultra Black finishes. 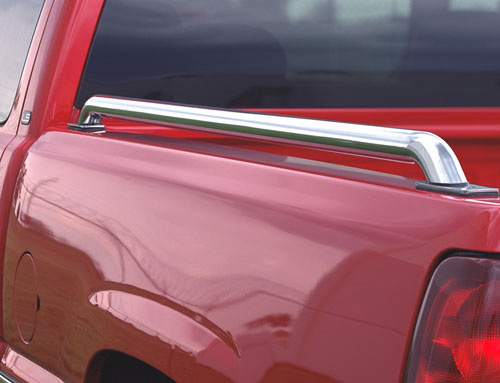 The rugged steel resists the elements while adding the ultimate protection accessory to your vehicle. Grill Guards help you plow through the brush. For more information about DeeZee Accessories, just click on their logo and it will take you to their website. Let us know if we can order accessories for your vehicles and install them for you. Thank you.